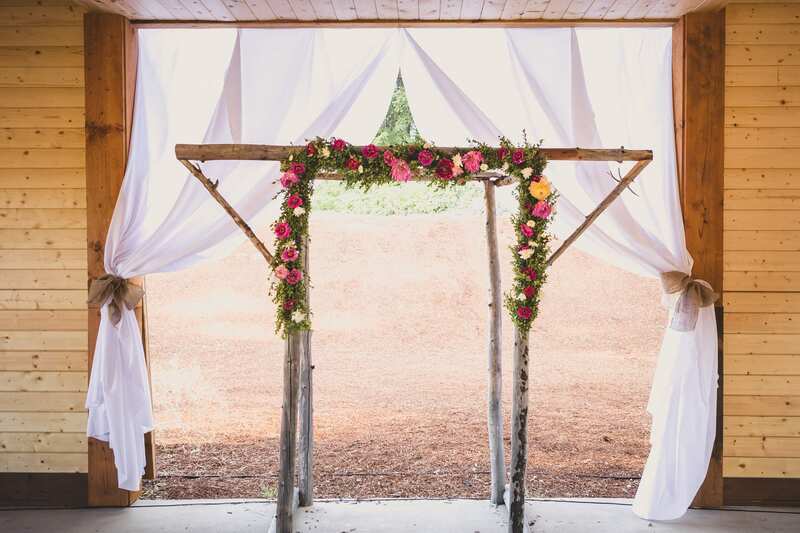 Rustic and princess often aren’t two styles that go together, but Ashley and Casey’s Hood River wedding proves that you can have a rustic setting and still exude royalty. 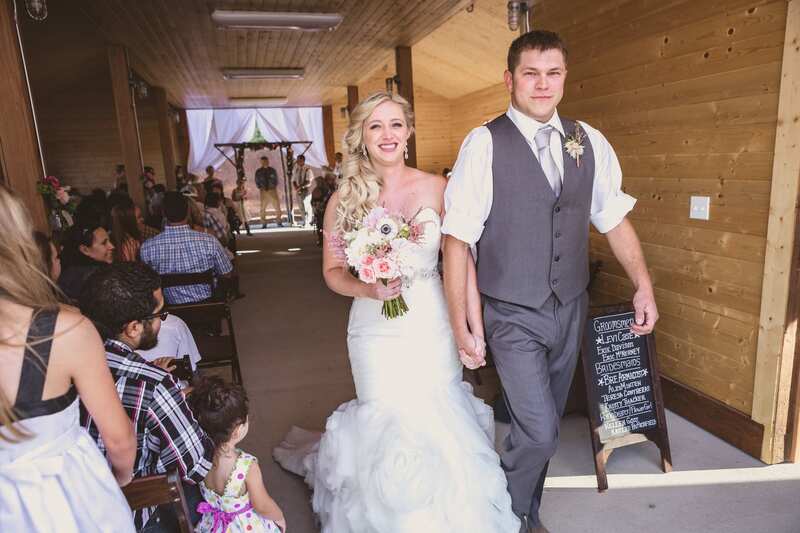 Ashley and Casey both grew up and fell in love with the countryside. 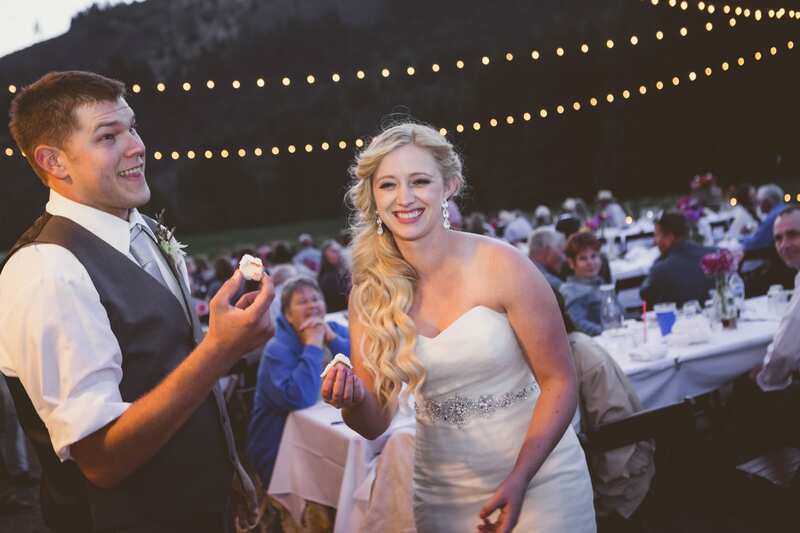 Ashley was raised in the scenic Hood Valley situated on a fruit orchard, where she rode and showed horses. 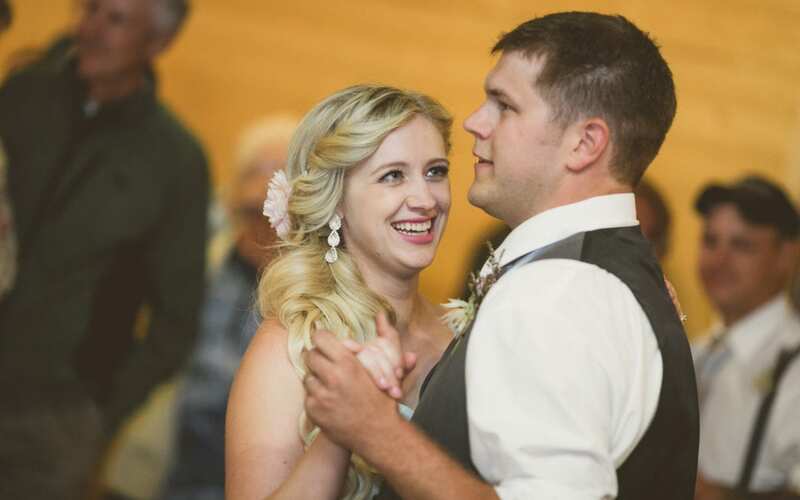 Casey, whom she meant when they attended college together, grew up on a cattle ranch. 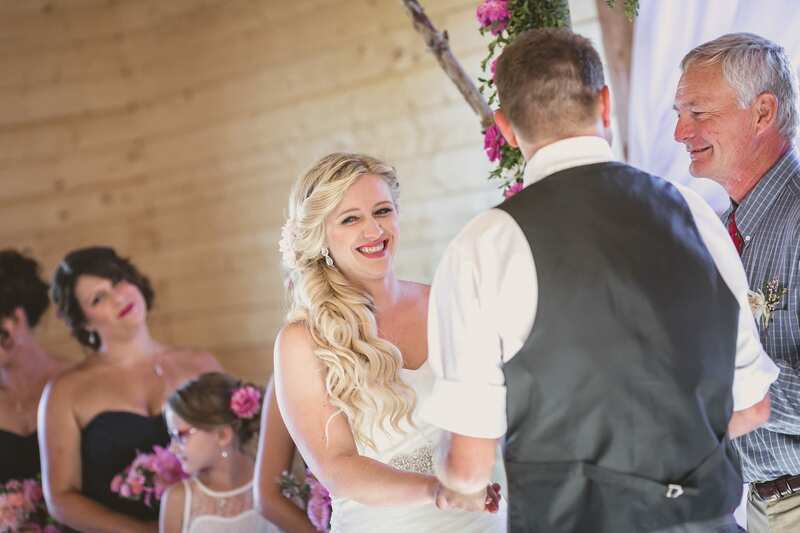 So there was little doubt that the couple wanted to celebrate their love in a way that paid homage to their similar passions and backgrounds–but with a few elegant twists. 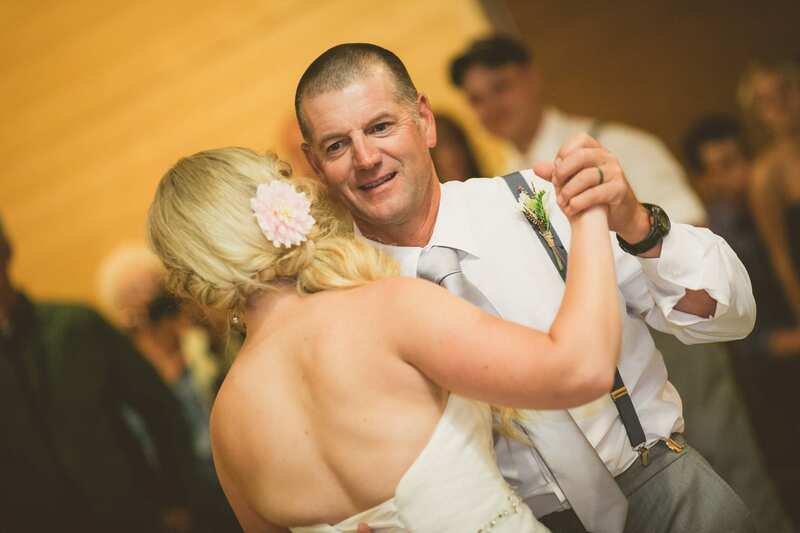 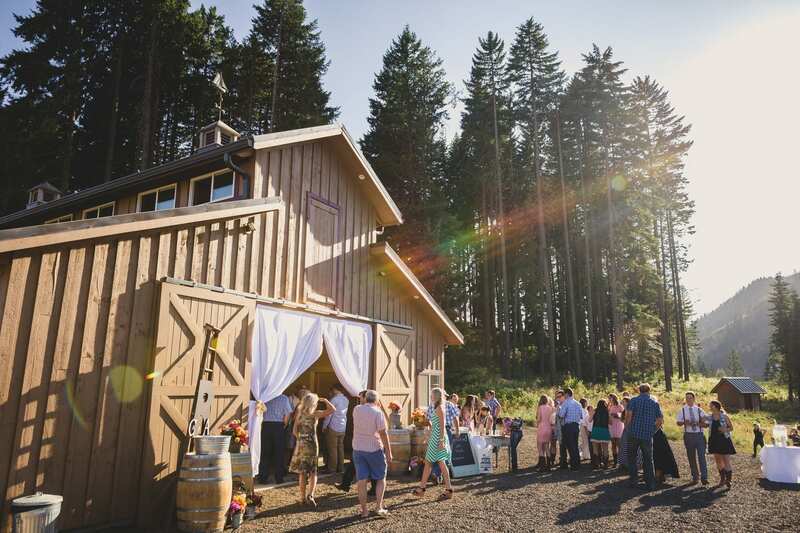 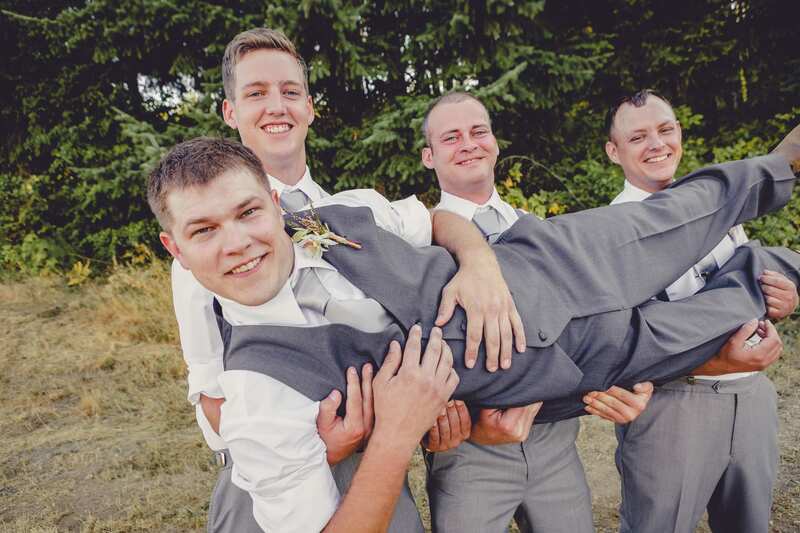 The ceremony was held less than a mile from Ashley’s childhood home, in a private barn set on beautiful pastures and graced with natural sunlight. 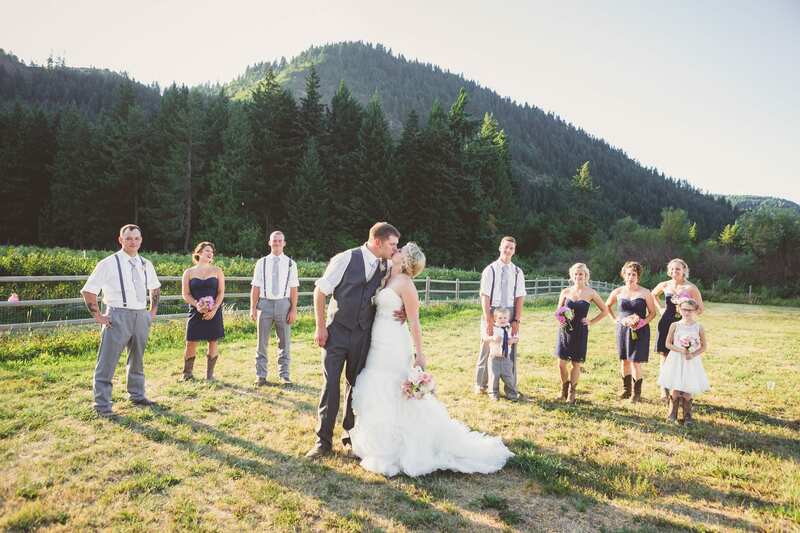 The theme was mostly rustic chic: the groomsmen wore suspenders and gray slacks, while the bridesmaids rocked cocktail fitted navy blue strapless dresses, and, of course, some polished cowboy boots. 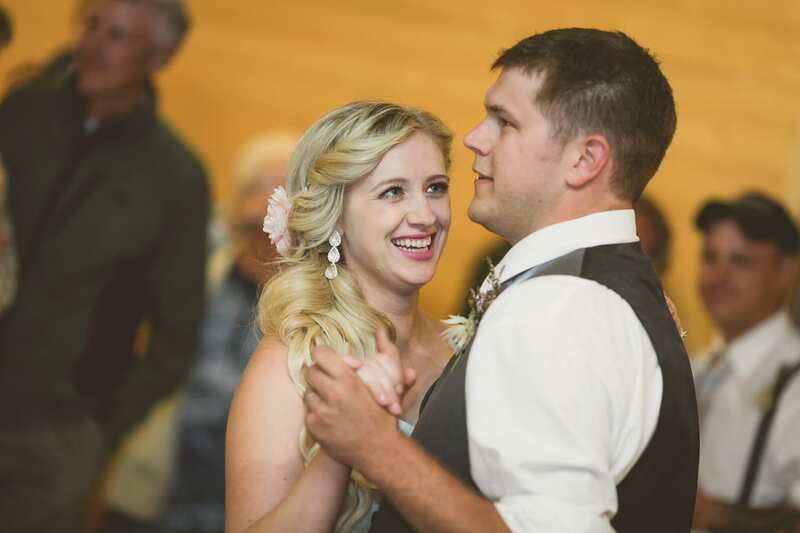 But Bride Ashley added some romantic and princess like touches, opting for an ivory sweetheart neckline, jeweled belt, and drop waist fit and flare gown with ruched layering on a stunning skirt. 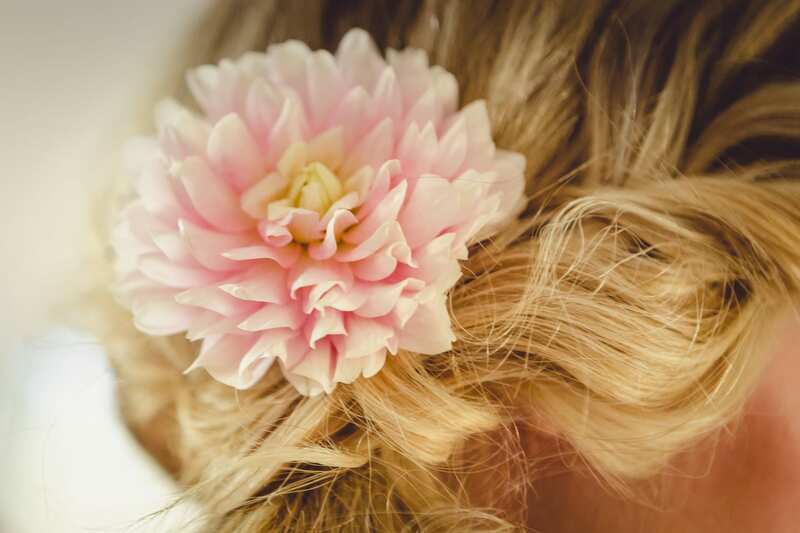 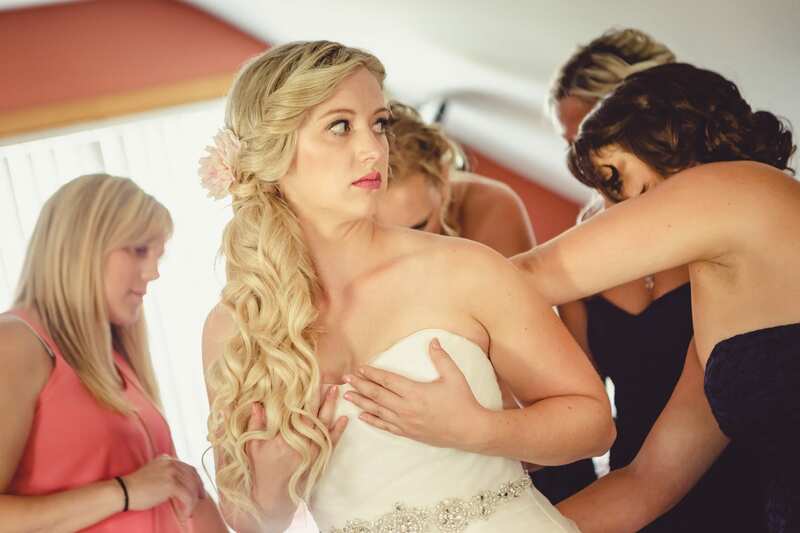 To balance out the princess and rustic look, she wore her hair in loose curls, with a single flower, instead of a veil, natural makeup, and a soft pink lip. 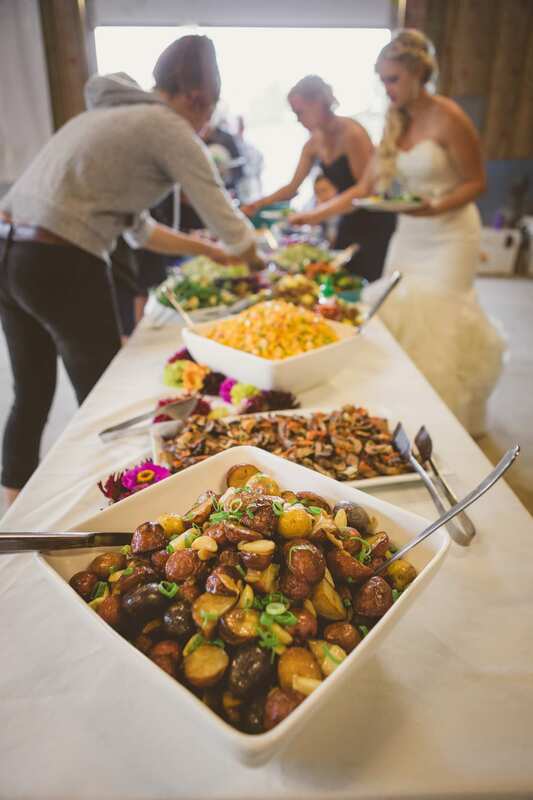 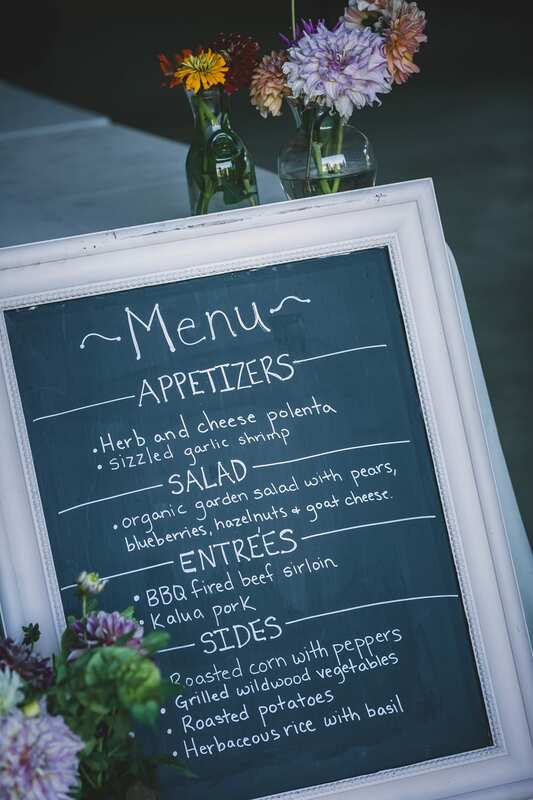 The reception space was replete with rustic charm: chalkboard menus, wooden barrels, dark chocolate peanut butter cupcakes, and a potluck style meal on simple buffet tables added just the right whimsical notes, captured delightfully by Sikora Photography.